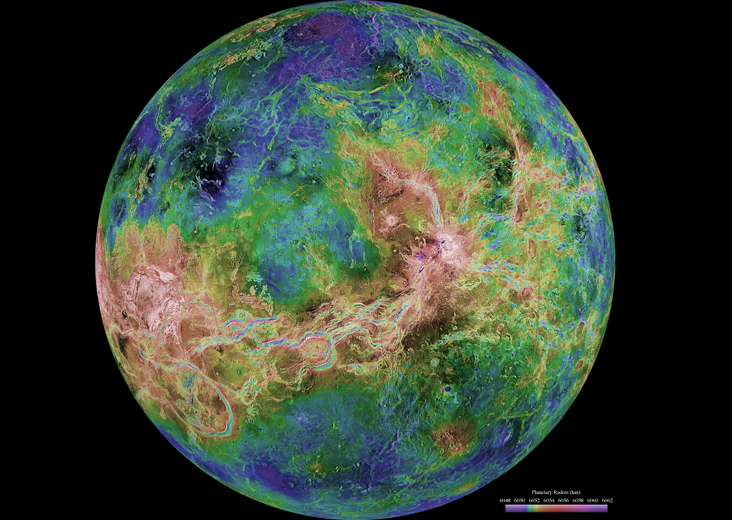 The hemispheric view of Venus, as revealed by more than a decade of radar investigations culminating in the 1990-1994 Magellan mission, is centered at 180 degrees east longitude. Image Credit: NASA/JPL/USGS. The Sun contains 99.86% of the mass in the solar system. It is 73% hydrogen and the rest is a mixture of helium, oxygen and carbon. If Jupiter — the largest planet in our solar system with a mass that is 318 times that of Earth’s — had any more mass, it would actually become smaller in size. Additional mass would make the planet denser and so it would start pulling in on itself. Venus rotates in a clockwise direction — opposite to that of all the other planets in the solar system. Hence on Venus, the sun rises in the west. 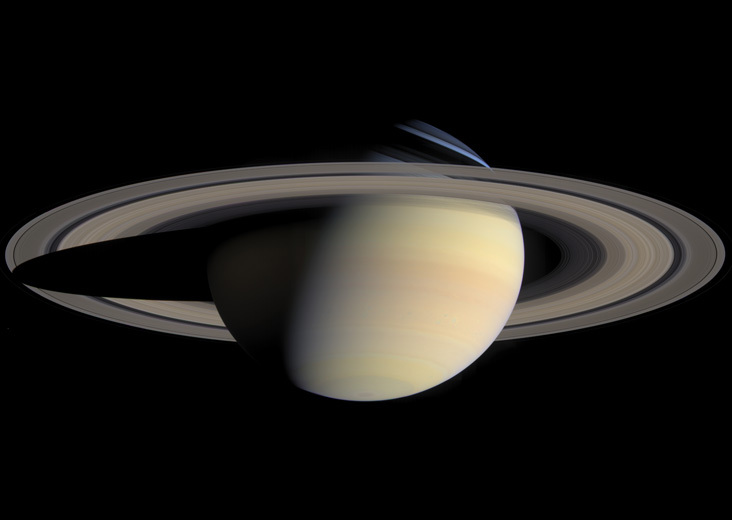 Orbiter Cassini captured a series of images that have been composed into this large global natural color view of Saturn and its rings. Image Credit: NASA/JPL/Space Science Institute. less dense than water, which would make it float on it. If you could find that big a body of water, that is. 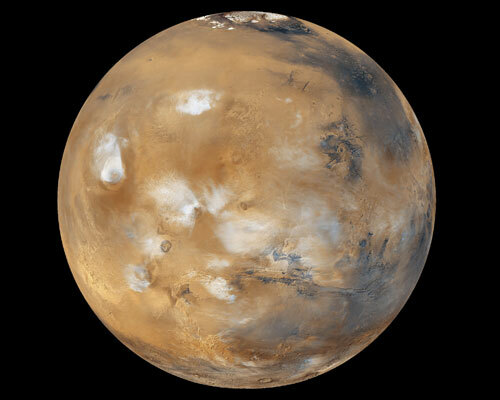 The rusty, red planet Mars has the tallest mountain in the solar system. This mountain, known as Olympus Mons, is a volcano. It is 15 miles high, which is three times the height of Mt. Everest. It takes Neptune 165 years to complete one revolution around the sun. This planet has yet to finish a full orbit since its discovery in 1846. Saturn is famous for the bright and colorful rings around it, which are comprised of gas, dust, possibly chunks of ice and particles of dust. But did you know that there are rings around all the other gas giants (Jupiter, Uranus and Neptune) in the solar system, too? Mercury and Venus are the only two planets that have no satellites, or moons, revolving around them. In comparison, Jupiter is known to have around 63 of them. Pluto, the “dwarf planet”, is comprised of half rock and half ice, and if it were any closer to the sun, it would be a comet. Mercury rotates slowly on its axis. It completes one rotation every 59 Earth days. As a result of the planet’s slow rotation on its axis and rapid movement around the sun, a day on Mercury — that is, the interval between one sunrise and the next — lasts about 180 Earth days. Aren’t you glad you are part of this amazing system, even if only in the capacity of a very small spectator? Water-ice clouds, polar ice, polar regions and geological features can be seen in this full-disk image of Mars. Image Credit: NASA/JPL. Doesn’t the phrase – delivered in a most earnest and no-nonsense manner — make you want to get your hands immediately on that edition of Baedeker’s travel guide? One means to bring out the subplot(s), obscured by the main plotline, a reader may not stumble upon otherwise. I sat in my idling car at the tail end of the school’s carpool line, with an open book in my lap. My mind was elsewhere, mulling over this and that. I noticed a bright flash of color through the corner of my eye and turned to my left. I saw a little girl, clad in a pale pink blouse and a pink-and-blue plaid skort, streaking down the short flight of steps at the front of her house and down the sidewalk. Where is she going all alone? 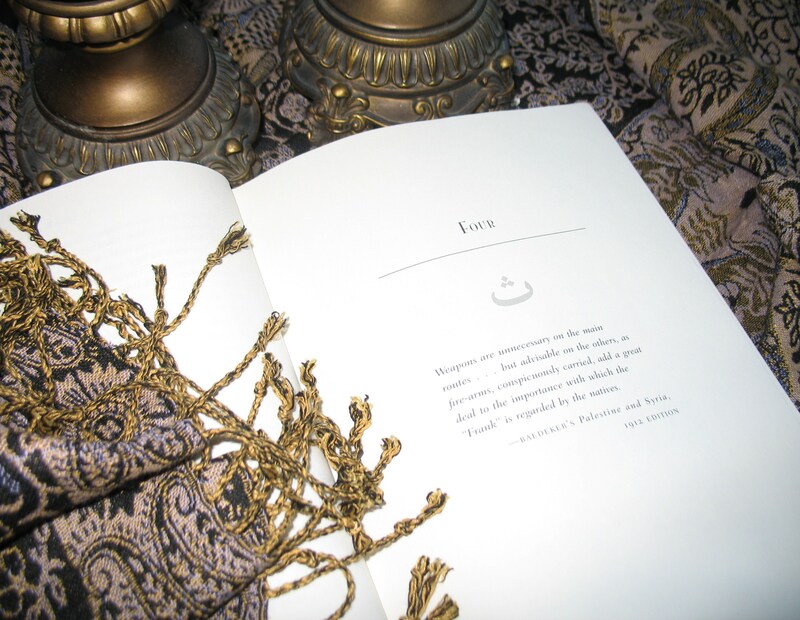 As I watched, mildly interested — in that way we do when our mind is engaged somewhere else, but it still registers the sights and sounds around it, with a bemused nonchalance – the girl skipped up the steps of the house next-door. She rang the doorbell twice, pressing it hard. She then turned her back to the door and began to worry the bracelet on her wrist with jerky, little movements. The jaunty, orange imitation of a hibiscus in her wavy-blond hair fluttered in the afternoon’s breeze as if signaling its wearer’s emotions. A few seconds later, the door cracked open a little and out peeked two identical-looking girls attired in brightly-colored leggings and black t-shirts with messages scrawled across them. The girl in pink turned around tentatively and spoke to them. One of her feet hovered over the threshold and the other was planted firmly outside. They carried a soft conversation, and then the three of them skipped outside and continued their dialogue. A fourth girl – in a white skirt and a sparkly black blouse, with shiny black pumps to match, no less :-) — waltzed out of nowhere and joined the little group. She was received by the identical girls with squeals and hugs, while the first girl stood slightly apart, looking uncertain. It was obvious that the girls, all of them, were friends. But, the girl in pink, even though she was part of the circle they all formed now, stretched the circle into a sort of an oval; as if she felt just a bit removed from the situation and her friends. Curiously, I felt like I was viewing a miniature rendition of the complex mechanics of an adult world. What are they talking about? What is it that made the one girl seem somewhat aloof from the rest? The carpool line gobbled up a few students at the head and moved on sluggishly. My car, too, slithered ahead, away from the curious happenings in which I was by then fully immersed. It was not really an incident to write home about. So, I wondered later, what made me pay that much attention to such an everyday, innocent thing? 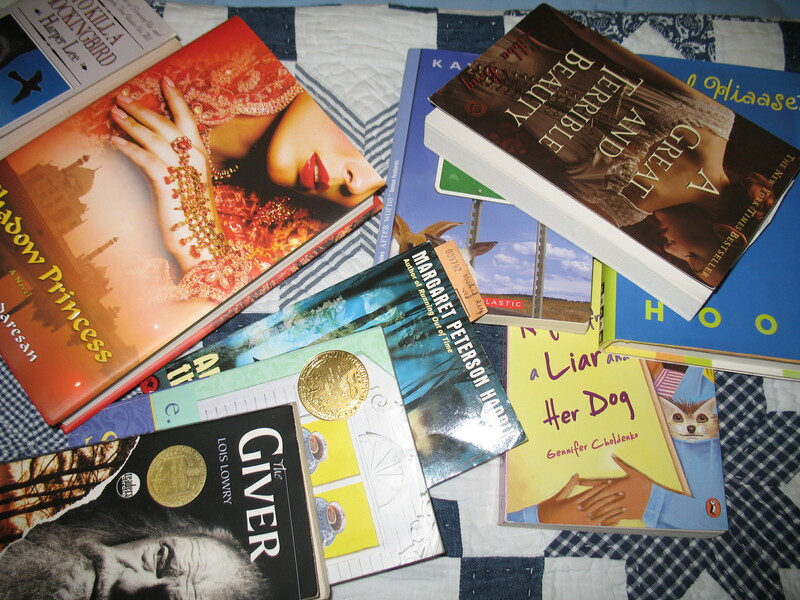 I realized it must have been because of the book I’d been reading earlier, called “Autumn Street” by Lois Lowry. It’s narrated in the point of view of a precocious six-year-old, who, along with her mother and her sister, has to go live with her grandparents for a year, because her father has gone away to do his bit for the war effort. The book is all about how that year affects her whole life. It’s one of the more honest and empathetic — though the diction is at times incurably adult even for such a smart girl. I mean, what child uses words like interstitial and viscid? — peeks into the bigger-than-life wonders, joys, and fears of childhood, all colored and outlined by the undercurrents of those times. The book reminded me of the complicated world that children’s minds reside in, and how indelible an impact the actions and (sometimes careless) words of adults have on them. I’ll leave you with one beautiful passage that Lowry uses to ‘show’ both the empathy and naughtiness of the main character at the same time. The ‘he’ in the passage is the MC’s grandfather, the head of the family in the real old sense of the word, who has recently suffered a stroke that took away most of his faculties. Carefully I sprinkled cinnamon on his damp fingertip and lifted it to the wet black shape that had once been his fine proud mouth. It touched his tongue, and with his mouth he shaped what I understood to be a smile. I dried his finger with the hem of my dress, put his hand back into his lap, and crept away. Grandmother never knew.